Billed as his “hometown kickoff,” the event afforded Booker an opportunity to turn a page after a muted start to his bid in which the New Jersey Democrat has lagged in polling and fundraising behind half a dozen rivals. The rally kicks off a two-week national tour for Booker, which will take him next week to Iowa, Georgia and Nevada. But it is unclear whether it will jump-start his campaign, which has been slow to gather speed in the 10 weeks since his launch February 1. In a call with reporters this week, Booker’s top campaign officials said they are pleased with how the campaign has played out thus far and don’t believe they need a breakthrough moment at this stage; instead, they hope to methodically build up infrastructure and momentum to peak at the right moment. But winning news cycles doesn’t hurt, either, as ascendant South Bend Mayor Pete Buttigieg can attest — and Booker’s campaign hoped a moment in the spotlight Saturday would help him to “stay relevant in the conversation,” as Demissie put it. The format Saturday played to Booker’s considerable oratorical talents, which have consistently brought crowds to their feet during his campaign swings through the key early primary states. It was not a perfect show of strength, however, despite Booker’s hometown advantage. The crowd, which ultimately numbered between 4,000 and 4,300, according to Newark police, was slow to arrive, and the program was delayed by roughly an hour. Booker’s campaign leadership said they viewed the event as an important “framing moment” for Booker to lay out his sweeping vision for the country and this election, following the initial flurry of announcements in the first quarter from a seemingly endless string of candidates. 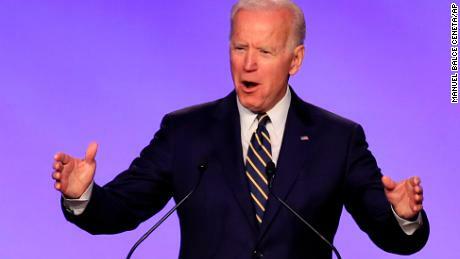 Indeed, those announcements are still coming: Buttigieg is expected to make it official in South Bend, Indiana, on Sunday after an exploratory phase, and former Vice President Joe Biden still waits in the wings. Unlike other candidates, however, Booker uncoupled his launch rally from his official campaign announcement, getting two bites of the apple 10 weeks apart. 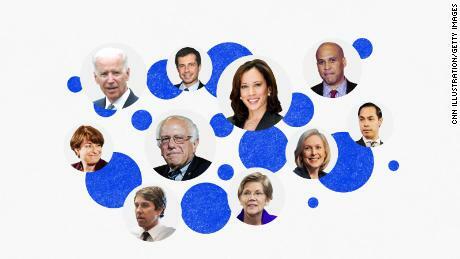 The event sought to showcase the full spectrum of Booker’s appeal as he takes on a Democratic field chock full of intriguing contenders. The setting nodded not only to Booker’s roots in Newark politics, but also to his home there today: As he often notes on the trail and did again Saturday, he is the only candidate who lives in an inner city neighborhood. He presented both of those facets of his biography as factors in his pragmatic approach to governance. “A real progressive movement does not hold progress for communities like mine hostage today for promises that perfection will come tomorrow,” Booker said.